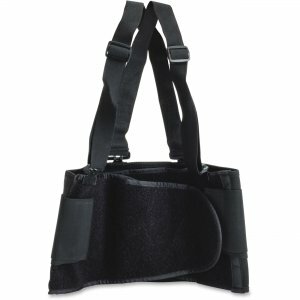 Basic back support features detachable elastic suspenders for customizable support while you work. 8" back panel and 3" elastic side pull ensure a comfortable fit during extended use. Four stays provide a secure fit using a hook-and-loop design.